Copper mugs are everywhere. It seems over the summer, the classic cocktail, a Moscow Mule, made a huge comeback. Perhaps it's the popularity of all things vintage, and our quest for simpler times, but there is definitely a classic cocktail revival happening on bar menus and in liquor stores across the country. This post contains affiliate links. 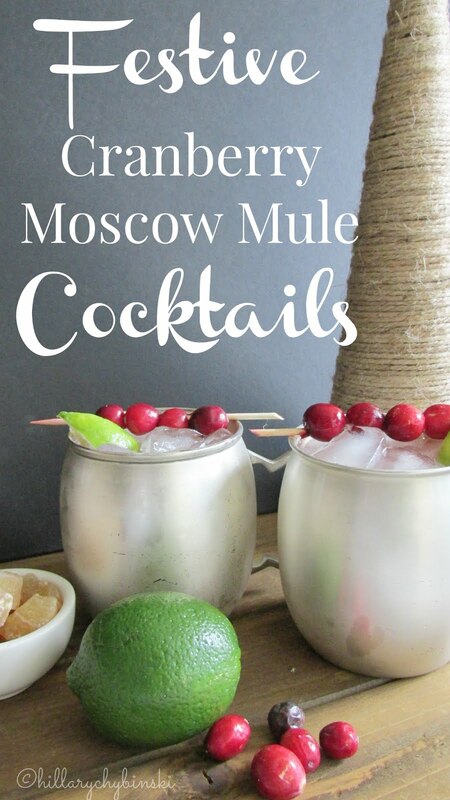 A Moscow Mule is a vodka drink, typically served in a distinctive copper mug. Add in spicy Ginger Beer and lime juice, garnish with a slice of lime, serve over ice and you are good to go. I picked up a great pair of stainless mugs from Sur La Table this summer. I like to toss in a piece of candied ginger to my Mules as well. 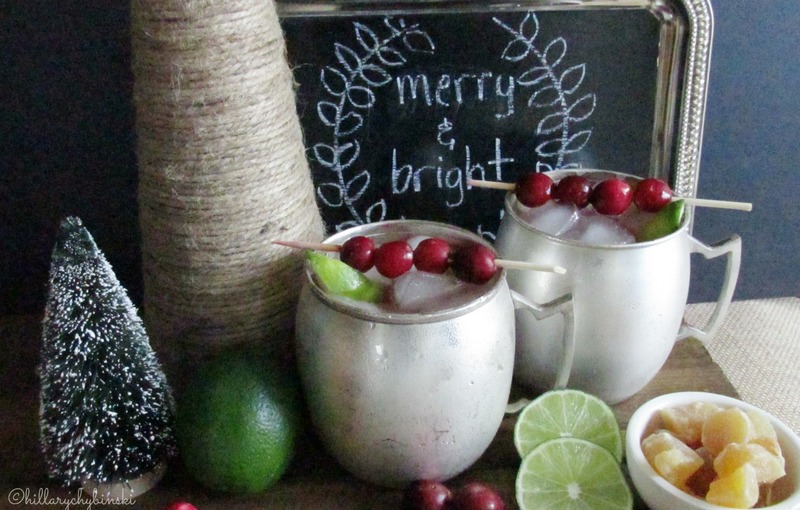 Because these drinks already look so festive with the copper (or stainless) mugs and the slice of lime, I thought I'd try and add a little festive holiday touch . . . like red cranberry. It was super easy to update my favorite cocktail. 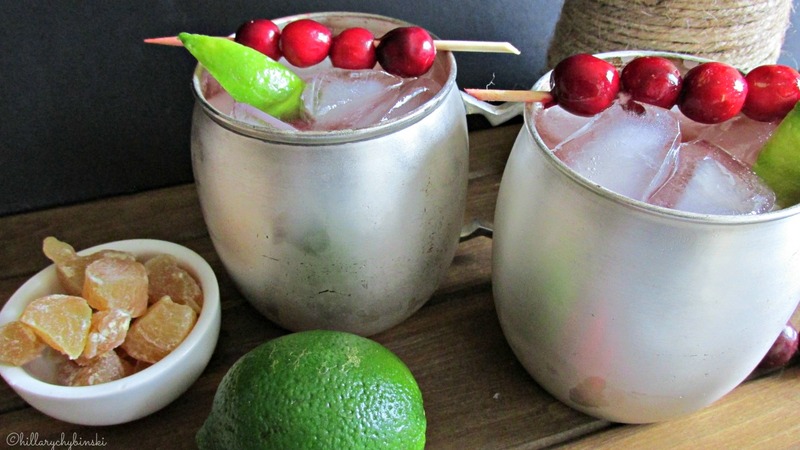 All I did was take my simple Moscow Mule recipe, and add a dash of cranberry juice and some whole cranberries. You can skewer them on a toothpick or skewer if you want to be fancy, or simply float them around in your mug. If you like a fruitier drink, you can muddle them first. I don't like my Mule watered down, so I picked up a large ice cube tray to make larger blocks of ice, that take longer to melt. Some people prefer a lot of ice, so the choice is yours. LOL Heather - I could NOT resist them . . .Sur La Table. Love this drink! So festive and those mugs are great. I needed this post! 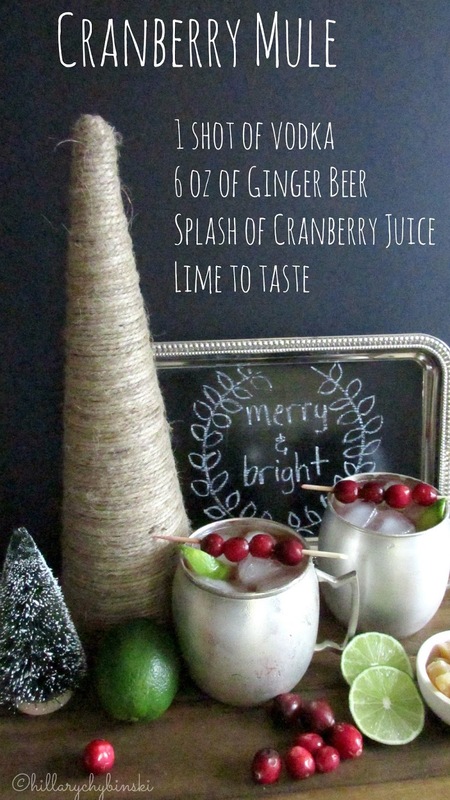 I have a sample of Smirnoff Ice's Moscow Mule on my kitchen counter and I was trying to decide how to holiday-ize it. AWESOME! You will have to tell me how they are - I've been wanting to try them out!